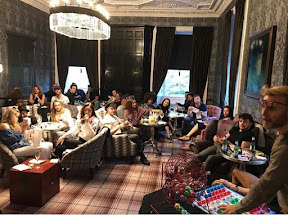 THEY might have been staying on the Bonnie Banks but Gary Barlow and the cast and crew of the Take That tour got lucky with a game of bingo in Scotland. And it was a full house as Gary shunned an evening walk round the waters of Loch Lomond to take on the role of host with the most at the fun party for the band and their roadies. And he even donned a pair of specs so he could see exactly what numbers he was calling out during the Barlow's Bingo competition. 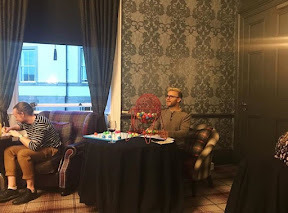 The Take That singer and songwriter used to be a bingo caller and even brought out the balls and cards during a wedding anniversary to his wife. 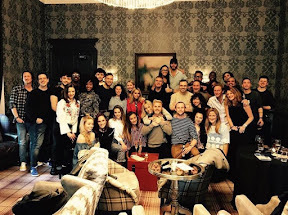 Gary told fans: "Its a bit of a Take That tradition that one night during the tour all the cast and band get together for a game of bingo. So last night was bingo night. And guess who the MC was. All the contestants made it a special night." Gary has talked previously about his love of the fame saying: "I used to be a bingo caller when I was first starting out. I used to love reading out the numbers. 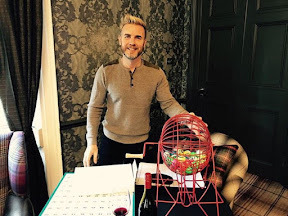 We have bingo nights backstage on the Take That tour to help everyone relax. We call it Barlow's Bingo." During the band's stay they also got to mingle with the drivers of luxury racing cars at the luxury Cameron House hotel. Excerpts of this article have since appeared in The Sunday Post, Sun and Sunday Mail.